Writing in American Indian Law Journal Executive Editor Brent Mulvaney discusses Tribal Disenrollment and it's effects on sovereignty. ...Because both the Ninth Circuit Court of Appeals and the Appellants acknowledged that federal courts lack jurisdiction to review tribal membership decisions,251 it is important to recognize that it is possible for tribal officials to constrain facts and the legislative authority of their general membership to serve personal ends that are wholly divorced from the will of the tribe. 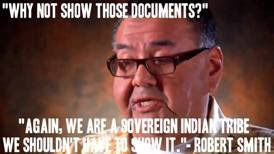 When genuine members of any tribe face disenrollment and the unified will of their tribal community, as expressed through the tribal franchise and recognized in a tribal constitution, cannot preserve their personal, cultural, and biological identities, they have no choice but to turn to litigation. Here, the Appellants exhausted the remedies provided by the tribe and were left with no other option than to bring their challenge to federal court. Ideally, such recourse would be amenable to the best argument. However, the only argument to which the federal judiciary is—and arguably ought to be—receptive is an ICRA-based challenge alleging that petitioners have been detained. As Jeffredo and other cases illustrate, such challenges have a tendency to prove futile in the disenrollment context. 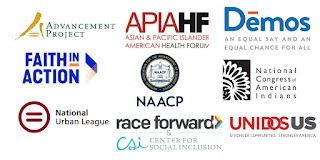 Assuming that the status quo is maintained, this case illustrates the fact that the only effective prophylactic for preventing unjust disenrollment and the potential spread of this epidemic is ensuring that the popular vote of tribal members carries that level of authority that has been recognized in countless tribal constitutions, which is the authority from which every other power of governance arises: the will of the people. Even if the authority of those facing disenrollment is diminished, the remainder of the general membership must have some way to challenge those actions of a tribal council that it finds unjust. Christmas 2018 marks the 14th Christmas without a tribe for many Pechanga descendants, including young children, well now, not so young...and the newly born will only be able to hear about their heritage in oral history, since the Pechanga tribe erased their history. 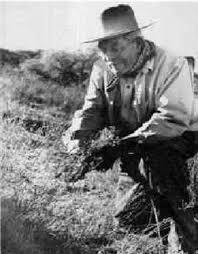 Mark Macarro, Andrew Masiel, Frances Miranda, Bobbi LeMere and the tribal council CAUSED our children and our elders to suffer for their greed and subterfuge. 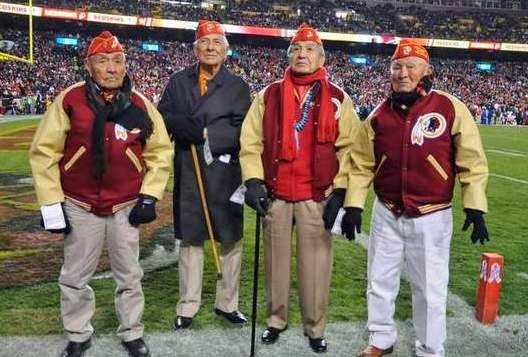 Our elders are aging quickly, and sadly, many will walk on without receiving justice. We must increase our efforts for THEIR sake. As we move into the New Year, please look inward for what YOU can do to help. Get on your computers, share letters, comment on news articles, join Twitter, so that you can share our blog posts, and others with those who should be working on our behalf, including our Senators and Congress. TELL OUR STORIES of abuse and injustice with everyone. Spread the news of their SHAME and why they shouldn't spend their dollars at some of these tribe's businesses. One or two is too few...when there are THOUSANDS of us who have been harmed. ADD YOUR VOICE, ADD YOUR STRENGTH and the strength of our ancestors. Don't let THEM win, without a struggle. We have proved that winning is possible, fighting off a theft of our water rights..with just TWO of us going to Washington. Chukchansi Casino is CLOSED and that story may be #1 for the Fresno Bee. Believe me, the powers that be KNOW what is going on.....they just have little political will to do the right thing. YOU can help give them back their backbone... if you USE YOURS. Galanda Broadman WINS another BATTLE: Interior Department LOSES Motion to Dismiss Suit on 2017 NOOKSACK TRIBE's "special election"
"Defendants’ contention that they now cannot compel a valid election is inconsistent with and undermined by Interior’s and BIA’s previous behavior"
A senior official at the Bureau of Indian Affairs was investigated for repeatedly harassing women, representing yet another incident of questionable behavior at the agency. "All I wanna do is get you naked and show you what it’s like to be with a real man," the official reportedly told the woman, according to The Daily Mail. The official worked at the BIA's Southwest regional office as far back as 2009. A woman who worked with him said he repeatedly hugged and touched her, made at least 50 inappropriate remarks and kissed her on the lips 15 times over the years, according to an internal investigation obtained by The Daily Mail. At least two other women in the Southwest regional office experienced inappropriate physical contact and verbal remarks from the official. But even though higher-level management at the Department of the Interior was told about the behaviors, nothing was done about his status, according to the Office of Inspector General report obtained by The Daily Mail. The official has since left the BIA. He name was redacted in the internal report obtained by The Daily Mail and a spokesperson told the media outlet, which is based in the United Kingdom, that the department doesn't comment on personnel matters. According to a BIA press release, William Tandy Walker was formally appointed to the post in December 2009. But he had actually been assigned to the region since September 2008, following the removal of the prior regional director. Walker is a citizen of the Chickasaw Nation and suddenly retired late last year, according to a second source who is close to the Albuquerque office. The internal investigation began in October 2017, The Daily Mail reported. Walker's immediate management superior would have been the director of the BIA. But the person who held that post -- Bryan Rice, a citizen of the Cherokee Nation -- mysteriously departed in April after being accused of harassing a female subordinate. "Supervisors who fail to take timely and appropriate action when warranted are subject to personnel action," Rice wrote in a memo he co-authored in January. A bill to combat the appallingly high rates of missing and murdered Native women has stalled in the House, despite sailing through the Senate, because a single Republican congressman from Virginia is mysteriously holding it up. 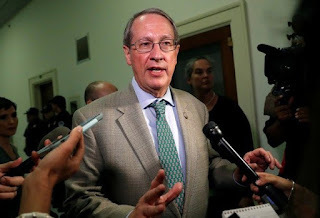 Rep. Bob Goodlatte (R-Va.) is blocking the bill, Savanna’s Act, aimed at helping the federal government respond to the grim reality that 84 percent of Native women experience violence in their lifetime. They are murdered at 10 times the national average. Goodlatte retires at the end of this term. The bill will die when he leaves. After coming out a big LOSER in Rabang v. Kelly 1, the Nooksack Tribe had to pay almost $91,000 in opposing attorney's fees to Galanda Broadman. This cost to the tribe does NOT include their OWN attorney's fees in a losing effort, nor the actual costs associated with stripping the citizenship of the Nooksack 306. But the poetic justice is karmic. Interior Secretary Ryan Zinke will exit the administration amid growing controversy over allegations that he violated ethics rules, President Trump announced Saturday. Trump tweeted early Saturday that Zinke "will be leaving the Administration at the end of the year after having served for a period of almost two years." "Ryan has accomplished much during his tenure and I want to thank him for his service to our Nation," Trump wrote. He did not specify whether Zinke resigned or was fired, and said he will announce a new secretary next week. Whoever Trump nominates will likely have to go through Senate confirmation. David Bernhardt, the deputy Interior secretary, could take over as acting secretary in the interim. He is widely expected to continue similar policies as Zinke, though perhaps with a different tone. Interior’s Office of Inspector General (OIG) referred its probe into the deal to the Department of Justice for potential prosecution of conflict of interest laws. Zinke denied any wrongdoing. Zinke is facing a handful of other investigations by the OIG, including probes into whether he improperly blocked an American Indian casino project after a competitor’s lobbying. Recently he was cleared of an investigation into whether he broke ethics rules by redrawing a Utah national monument in a way that benefited a state lawmaker. Warren claimed her parents had to elope to avoid discrimination based on her mother’s Cherokee identity, a story that hasn’t stood up to scrutiny — and certainly doesn’t comport with the findings of Warren’s infamous DNA test. 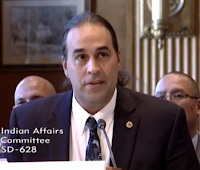 Amazing, the largest Native American Organization, the National Congress of American Indians, that Prof. David Wilkins says has been MISSING IN ACTION on Tribal Disenrollment, INCLUDES itself with other Civil Rights Organizations. REALLY NCAI? NCAI and 8 other leading national civil rights and racial justice organizations jointly condemn the ploy by the Washington NFL team trying to get a new stadium in DC through Congress. The previous DECADE of conferences by NCAI has included ZERO minutes donated the abuse of Native Americans...BY Native Americans. "Affirming the District Court would inoculate racketeering conspiracies that infiltrate tribal governments from the force of RICO. While RICO would continue to deter individuals from conspiring to defraud federal, state, and local governments, tribal governments would be left uniquely exposed to mail fraud, wire fraud, and conspiracy. The Court should apply RICO in the face of all pretend-governmental racketeering. 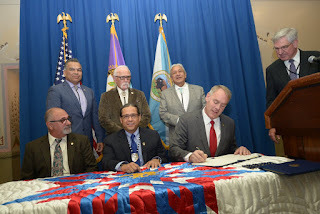 This Court should not create a blanket affirmative defense to civil RICO activity in Indian Country where defendants can baldly proclaim 'intra-tribal dispute' and be free from prosecution." Ms. Rabang, Ms. Oshiro and the other Appellants (collectively “Rabang”) simply seek to collaterally attack Tribal Court eviction orders with which they disagree. The District Court correctly set aside Rabang’s fantastic allegations of illegitimate actions and saw the case for what it is, dismissing all claims for lack of subject matter jurisdiction. The decision of the District Court should be affirmed. Apartheid Nation Pechanga Band of Luiseno Indians Bests SYCUAN in Naming Rights Deal: Backroom Shenanigans? The APARTHEID NATION of Pechanga Band of Luiseño Indians, which has cheated it's own people out of over $700 MILLION, has landed a naming rights deal this week in hopes of driving more traffic to its gaming facility in southern California. Sycuan Band of Kumeyaay was BLINDSIDED. Signs for the "Pechanga Arena San Diego" already went up after the city council in San Diego approved the deal on Tuesday, The San Diego Union-Tribune reported. The Pechanga Development Corp., is paying $400,000 a year for the rights. "It's something we've been wanting to do for a while -- to have a little more exposure in the San Diego area," Jared Munoa, the president of the corporation, told the paper before the deal was approved. "We trust this will be a win/win for the sports arena, for Pechanga and, of course, for San Diego." The deal -- which only runs for two years -- came together in just three weeks, KPBS News reported. It was presented to the full city council without going through the usual committee process, a move that came as a surprise to some members. "I just feel like this one is like not a great deal," council member David Alvarez said at the meeting on Tuesday, KPBS reported. "I don’t know if anyone else feels this way and I feel like there could be more for the city." The agreement wasn't just news to the council. The Sycuan Band of the Kumeyaay Nation, which previously had the naming rights deal, wasn't aware of Pechanga's interest until this week, The Union-Tribune reported, and was prepared to make a better offer, the paper said. 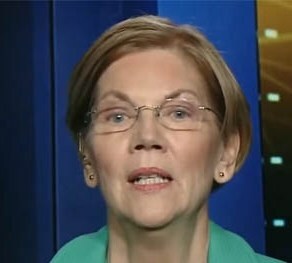 FAKE Cherokee Elizabeth Warren Stands by DNA Test. ELIZABETH WARREN, FAKE Cherokee and DNA TEST dumbell, MIGHT apologize for her trickery. Emphasis on MIGHT. Their had been speculation that the Washington NFL team might choose COLIN KAEPERNICK but alas (for them) NO. Word was out that CK might not play for a team with a racially ugly nickname. So with CK looking to stand on principal...Washington signs Josh Johnson, seemingly scraping the bottom of the barrel. Johnson, 32, has not thrown a pass in an NFL game since 2011, with the Tampa Bay Buccaneers. He is 0-5 lifetime in the NFL as a starter with five career touchdowns and 10 interceptions. He’s spent time with eight other NFL clubs and was recently selected as the top pick in the new Alliance of American Football League. Pala Band of Mission Indians BLAMES BIG PHARMA For it's TROUBLES? The Pala Band of Mission Indians, which exterminated Indians via tribal disenrollment, cheated and evicted their own people and whose chairman's daughter was arrested for illegal weapons, announced the filing of a federal lawsuit Monday against companies who manufacture and distribute opioids. I was looking through my cousin's old blog T'EETILAWUNCHA BLOG here he discusses some oral history in 2009. Most recently before his death, Antonio Ashman in a sworn affidavit said he knew Paulina Hunter as a member of the Band. He also swore that Paulina stayed at the home of Michelle and Salvador Quiliq and heard they were related. He also stated Paulina was called Aunt by Martin Berdugo, another recognized member of Pechanga. This is recorded oral recognition that the CPP faction says Paulina Hunter did not have. This statement somehow outweighs hundreds of other documents the enrollment committee has possession of detailing the Hunters as recognized members of the Pechanga band by tribal elders who were alive at the time the reservation was established. CONGRATULATIONS to Cherokee Warrior Marilyn Vann who is one of the honorees recognized for making a significant contribution to human rights. The event is held in conjunction with International Human Rights Day which is recognized on Dec. 10 each year. Marilyn Vann is president and a director of the nonprofit Descendants of Freedmen of the Five Civilized Tribes Association, which educates the public on the history, culture, and political rights of the African Indian peoples of the 5 Nations (Five Civilized Tribes). 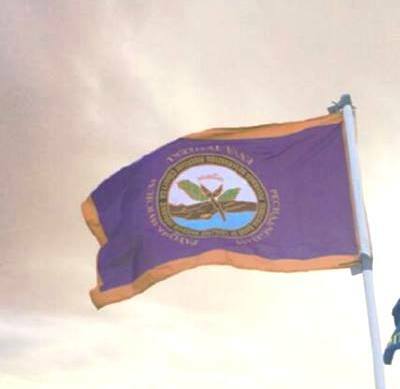 A citizen of the Cherokee nation of Oklahoma, Vann is president of the African Indians Foundation. She is a litigant in two Federal lawsuits that recently upheld enforcement of the 1866 treaty rights of the Cherokee Indian Freedmen Peoples tribal membership rights. Vann received a Statesman Award from the Cherokee Nation for her volunteerism as a Cherokee tribal member.